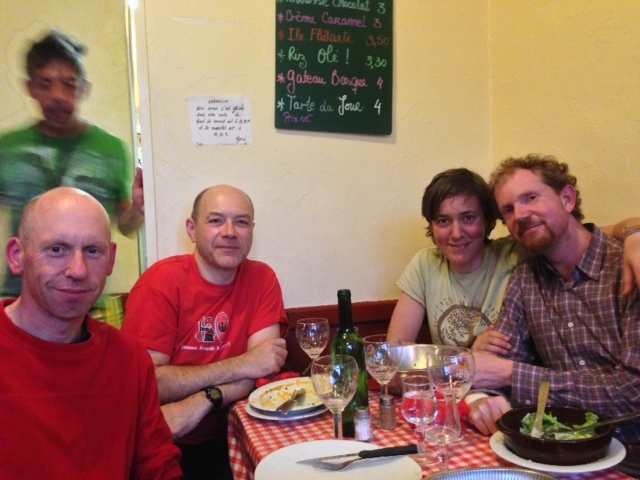 Last night Claire and Stephane took me to a local restaurant Chez Glandine where we met Christophe who had done several long rides with Claire including LEJOG. Locally Chez Glandine is legendary serving excellent food at great prices. When we arrived there were several people milling around outside but we managed to get a table for four straight away. Claire explained that a couple of years ago it was extremely busy with people waiting outside for two hours to get a table but the local restrictions now stop people waiting outside with a drink because of the noise so unfortunately it’s now less busy. All four of us in the Restaurant. 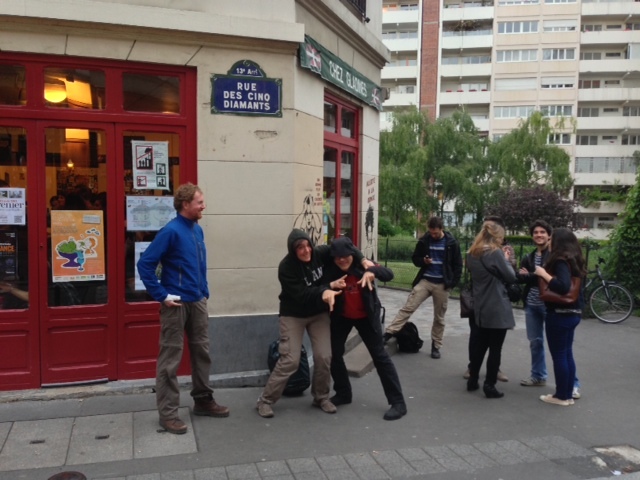 After dinner we went to a bar round the corner called Sputnik where we continued to chat and had another beer. Being English I had to have a pint whilst Claire and Christophe were much more elegant with their half pints. Just as we entered the bar it started raining really heavy, but this died down before we left. A thoroughly enjoyable evening with great company. Update: Unfortunately I received sad news from Claire and Stephane in 2014 that Christophe had passed away after drowing in a kayaking accident in Italy.